Please join us as we welcome celebrated chef and restaurateur, Zakary Pelaccio of Fish and Game restaurant in Hudson along with writer and editor Ruth Reichl as they discuss taking local food to a new level. A reception will follow. Zakary Pelaccio is a celebrated chef and restaurateur, noted for influencing culinary trends from nose-to-tail cooking, gastro-pubs, Brooklyn cuisine, and bringing Southeast Asian cuisine to the mainstream. Pelaccio also penned a critically acclaimed cookbook, Eat With Your Hands. In 2012, he left New York City for the rural environs of the Hudson Valley. 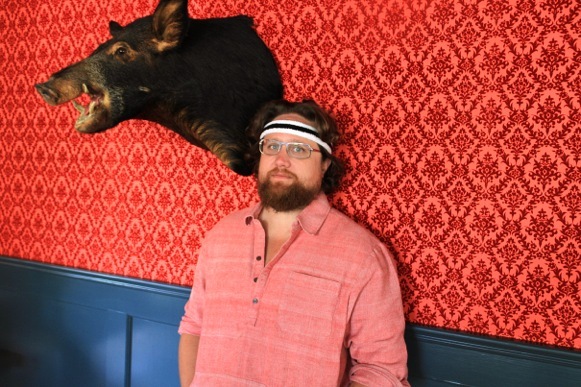 Along with his wife, Jori Jayne Emde, and business partner, Patrick Milling Smith, he has developed Fish & Game, a new restaurant in a renovated 19th century building in Hudson. Ruth Reichl is a writer and editor who was the Editor in Chief of Gourmet Magazine for ten years until its closing in 2009. She is the author of the critically acclaimed, best-selling memoirs Tender at the Bone, Comfort Me with Apples, Garlic and Sapphires, and For You Mom, Finally. She is also the host and executive producer of the two-time James Beard Award-winning Gourmet’s Diary of a Foodie on public television, and the editor of the Modern Library Food Series. She lectures frequently on food and culture.